Michael Gielkens, Vimco Luxembourg S.A. Together with Krakauer Management GMBH, Vienna, Austria, we organize a capital markets day at the DoubleTree Hilton hotel. Attendance is free of charge. To register, please send an e-mail to Reinhard Krakauer via reinhard@krakauer.at. Alex Roepers is the Chief Investment Officer of Atlantic Investment Management, a global equity value-investing firm he founded in 1988. Mr. Roepers applies a differentiated constructive shareholder activist (CSA) investment approach to unlock incremental value in high-quality, undervalued companies in the consumer, industrials and businesses services sectors. 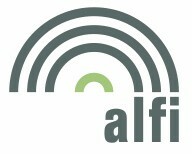 Atlantic’s highly experienced investment team has successfully influenced change at many leading companies over the past 30 years in the U.S., Europe and Japan. Mr. Roepers began his investing career in the operations and corporate development departments at multi-billion-dollar conglomerates Thyssen-Bornemisza Group (1984-88) and Dover Corporation (1980-82). Mr. Roepers has a Bachelor of Business Administration from Nijenrode University, which is the Netherlands School of Business (1980), and an MBA from Harvard Business School (1984). Léon Kirch, CFA, born in Luxembourg in 1972, has been involved with Value Style Investing for twenty years now. He holds a Commercial Engineering degree from Solvay Brussels School and is a Chartered Financial Analysts. Léon Kirch started his career in 1997 at Banque de Luxembourg as a Portfolio Manager. In early 2002, he joined Nordea as the Co-Portfolio Manager of the Nordea European Value Fund until Mid-2014. In August 2014, he became Partner at European Capital Partners where he launched his own European Equities strategies and got back to the roots of his “Entrepreneurial Value Investing” approach. Léon Kirch was founding President of the Luxembourg CFA Society and is a regular guest speaker at the University of Luxembourg. Pavel Begun is a co-founder of 3G Capital Management LLC, a private investment partnership that invests in undervalued securities around the world. The firm's strategy is to invest at single-digit multiples in a small collection of industry-leading businesses across Frontier, Emerging, and Developed markets. Since inception in 2004 3G Capital Management LLC produced a track record of significant outperformance vs. MSCI ACWI ex USA and the S&P 500. Mr. Kara joined Maj Invest in 2004, and has been responsible for managing the Global Value equities strategy since its inception. Prior to joining Maj Invest, Mr. Kara worked as an equity strategist at Danske Bank. Previously he held a position as portfolio manager at Danske Capital for the Danske Invest Latin American Equities fund. Mr. Kara holds a MSc in Economics from the University of Copenhagen. Andrés Allende Rodríguez-Losada, CFA (Spain 1977). Bachelor’s degree in Business Administration from the Complutense University (Madrid). In 2001, he joined Credit Suisse where he worked as a portfolio manager first in Madrid and then in Zurich. In 2007, he joined RAB Capital in London as a Long/Short equities portfolio manager for Latin America, and subsequently for Global Emerging Markets. In 2011, he joined Allianz Global Investors in London, before moving to Edinburgh to work for Standard Life Investments in 2014 where he ran Global Emerging Markets funds. His investment style is contrarian and fundamental, based on a bottom up understanding of companies and industry cycles. Andres was appointed at Cobas AM in January 2017. Founded by Ole Søeberg in 2017, Nordic Investment Partners offers investment advice and a GARP fund investment for selected investors. Investment philosophy: stocks are inefficiently priced and the inefficiency varies in magnitude and timing. Valuation is at the core of the investment decision process. Fund focus with only 20 stocks and a peer/pipeline of approx. 100 stocks. Focus on companies that are determined to grow from their core with a clear strategy and aligned with shareholders. The fund due diligence process includes the traditional assessment as well as understanding of the culture, people and competitive moat. Small –and mid-sized companies offer the best long-term potential and are carefully balanced with portfolio liquidity. Ole Søeberg made his first investments in 1978. He founded Dansk Aktie Analyse (independent research boutique in Copenhagen) in 1984 and began his career at Privatbanken in 1985 in International Equities. In the 1990’s he was head of international equities in Denmark for Carnegie and Alfred Berg. 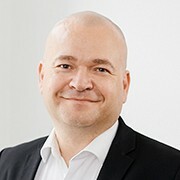 In 1999, he joined TDC (largest Danish telecom operator) as head of Investor Relations and when TDC was acquired in 2006, he moved to Tryg insurance (second largest Nordic insurance company) as Director of IR. He was also a member of the investment committee and M&A gatekeeper. From 2011-17 he was fund manager and Chief Investment Officer at Skagen Funds, Norway (largest independent Nordic asset management firm). Georg Geiger, born in 1962, is CEO and founder of Value-Holdings AG, a value style equity investor, especially in German listed family businesses. Value-Holdings AG was founded in 1992 and its IPO of took place at the Munich Stock Exchange in 1999. In 2002 Georg Geiger launched the Value-Holdings Deutschland Fund. In 2008, Value-Holdings AG took over NB Nebenwerte-Beteiligungen AG, renamed it into Value-Holdings International AG and started a portfolio of European listed companies, which is listed on the Berlin Stock Exchange. Also in 2008 the Value-Holdings Europa Fund was launched. Georg Geiger made his first investments in 1980 during his apprenticeship as a banker. After that he graduated with a degree in business administration and worked for many years as a securities analyst. Until the foundation of Value-Holdings AG he was head of equity research at Bankhaus H. Aufhauser in Munich. Gianluca A. Ferrari is an Investment Director at Shareholder Value Management AG (“SVM”), an employee owned investment company based in Frankfurt, Germany, where he is largely responsible for the company’s active engagements. SVM advises over €3bn in AUM through various investment vehicles, allocating capital under a value-oriented framework and frequently engaging with portfolio companies’ management teams to improve shareholder returns. Gianluca has lived both in the US and Italy, where he graduated with a degree in Economics and Business from LUISS University in Rome. At age 19 he founded a start-up which he managed successfully for two years while attending university after which he moved to Germany where he now lives. He currently sits on the Board of Directors of Retelit SpA and Be, Think, Solve, Execute SpA, two Milan-listed companies. Gavin has spent 24 years on the buy-side, investing in Asian markets as an analyst, assistant portfolio manager and portfolio manager at different firms. On the long-only side, Gavin worked at MFS Investment Management in Singapore, and at Wellington Management Company in Boston where he spent more than twelve years. Gavin also helped manage long-short portfolios at Oechsle Alternative Investments, and Tudor Capital in Singapore. He graduated from Middlebury College and is a holder of the Chartered Financial Analyst designation. Steven Wood, CFA founded GreenWood Investors in late 2010 based on core beliefs that great returns are generated through a concentrated global portfolio of special situations and deep value opportunities, and cannot be generated by being overly concerned with month-to-month returns. We believe investors should have full transparency and liquidity and we share our research with our sophisticated investors, who in turn provide invaluable insights that help us hone our portfolio. Prior to founding GreenWood Investors, Steven worked with notable investors at Carr Securities, Kellogg Capital Group, and Aslan Capital in distressed, deep value, and special situations strategies. Through frequent marathons and by being the sole US-focused analyst in Leveraged Finance at RBC Capital Markets during the peak of the LBO boom, Steven has developed perseverance and durability, a pre-requisite for contrarian value investing. Dissatisfied with just one view of the world, Steven received a bachelor of arts from Tulane University in Economics, Political Economy, and International Relations. Edouard is the CIO of Ascender Capital, a value-orientated investment firm concentrated on opportunities in Asia including Japan. The firm’s strategy focuses on finding high-quality companies with a track record of profitability and earnings growth at a significant discount to their intrinsic value. Prior to founding Ascender in Hong Kong in 2012, Edouard had a successful career as an entrepreneur. He co-founded Sendit AB, a Swedish telecommunications software company that was acquired by Microsoft in 1999 and then set up and managed Microsoft’s Mobile Internet Business in Asia until 2001. 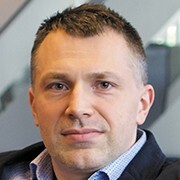 From 2002 to 2004, Edouard was the leading investor and CEO of Incomit AB, which was then acquired by BEA Systems (Oracle). Since 2005, Edouard has been an active financial investor across private and public markets. Edouard holds an MSc in Telecommunications Engineering from the Swiss Federal Institute of Technology (ETH Zurich) and an MBA from INSEAD. Jos van Bommel is associate professor of Finance at the University of Luxembourg. He holds an MSc from the University of Eindhoven, an MBA from the IESE Business School, and a PhD in finance from INSEAD. He taught valuation and other corporate finance courses at many business schools and universities, a.o. Babson College, Oxford University’s Said Business School and Esade Business School. His research on IPOs, Corporate Governance and Market Liquidity has been published in numerous peer reviewed academic journals. Jos is a value investor and tries to practice what he preaches. Paul Smeets is associate professor at Maastricht University. His research particularly focuses on understanding what motivates millionaires to give to charity, how the rich think about income redistribution and how money increases happiness. Paul is a co-founder of the Sustainable Finance Master Program at Maastricht University. Paul published in the Journal of Finance, Journal of Economic Behavior and Organization and the Proceedings of the National Academy of Sciences (PNAS). His work has appeared in The New York Times, the Atlantic, Forbes, the Guardian, BBC News, Süddeutsche Zeitung, de Telegraaf, de Volkskrant, NRC Handelsblad, RTL Z, Radio 1, BNR Nieuwsradio, Q Music and Slam FM! Robert J. Jarvis advises Luxembourg for Finance and its stakeholders (government & associations) in proactive decision making with regards to target markets, business development and financial topics, as well as the strategic orientation of the agency and the Luxembourg financial centre in general. Robert has various special focus topics: Brexit, asset management, sustainable finance, and FinTech, and provides in-depth insight on growth opportunities in these sectors within the European and North American markets. Robert is a regular speaker representing the Luxembourg financial centre.